Introduction: The aim of this investigation was to compare the incidence of dentinal crack after different obturation techniques. 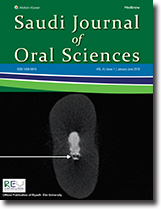 Materials and Methods: Fifty-five mandibular teeth with mature apices and straight root canals (>5°) that had been extracted for periodontal reasons were selected and stored in distilled water until use. The teeth were randomly assigned to five groups of 15 teeth each. The groups were as follows; (Group 1) no canal preparation, (Group 2) canal preparation, (Group 3) canal preparation and obturation with cold lateral condensation technique, (Group 4) canal preparation and obturation with warm vertical condensation (WVC) technique, and (Group 5) canal preparation and obturation with single-cone (SC) technique. Afterward, the teeth were horizontally sectioned at 3, 6, and 9 mm from the apex with a low-speed saw under water cooling. All slices were then viewed through a stereomicroscope at ×25 magnification and pictures were taken. The presence of dentinal crack was noted and analyzed using the Chi-square test. Results: The Group 1 had no dentinal crack. All the other groups resulted in dentinal crack. Groups 3 and 4 produced significantly more dentinal crack than the other groups in the 6 and 9 mm sections (P < 0.05). The Groups 3 and 4 produced significantly more dentinal crack in the 6 and 9 mm sections than 3 mm sections (P < 0.05). Conclusion: Under the conditions of this study, after root canal filling with the cold lateral and WVC techniques determined more dentinal cracks than the only preparation and SC technique. The SC technique seems to be an appropriate obturation technique. Introduction: The ideal root filling material should have inert properties, good adhesive ability, and result in void-free obturation along the root canals. The aim of this in vitro study was to compare the quality of two root canal obturation techniques; cold lateral (CL) condensation and continuous wave (CW) condensation, through measuring the volume of gaps and voids by using micro-computed tomography (micro-CT). Materials and Methods: Forty-extracted teeth with single canal were instrumented with profile rotary files, and divided into two groups as follows: CL condensation (n = 20), and CW obturation (n = 20). The teeth in each obturation group were scanned twice using micro-CT scan. The resultant images were rendered in proprietary software (NRecon version 1.6.9.4) to obtain three-dimensional (3D) pre- and post-obturation records of each specimen. The 3D images were imported into CT Analyser version 1.17.7.2 for volume measurement of voids and gaps in the apical third at 1 mm, 3 mm, and 5 mm. The analysis of variance test was used to compare the mean volume of voids and gaps between the two obturation groups in each level in the apical third (1 mm, 3 mm, and 5 mm). Furthermore, it was used to compare the mean volume of voids and gaps between the three different levels apically in each obturation technique. Results: CW obturation technique had more voids volume at the three different apical levels (1 mm: 0.19 ± 0.16, 3 mm: 0.76 ± 0.81, and 5 mm: 1.36 ± 1.44) compared to CL condensation technique at the same three levels (1 mm: 0.14 ± 0.21, 3 mm: 0.46 ± 0.46, and 5 mm: 1.10 ± 0.93) with no statistical significant difference between them (P < 0.05). Conclusions: None of the root canals filled teeth were voids-free, and there was no statistically significant difference between the two obturation techniques regarding the gaps volume apically. Background: Varieties of methods are available for more obstinate tooth discoloration such as crowns, veneer, and micro and macro abrasion of enamel, but tooth bleaching gained high patient acceptance. The aim of the present research was to estimate changes in surface enamel composition after bleaching 16% carbamide peroxide (CP) (home-use bleaching) with 38% hydrogen peroxide (HP) (in office bleaching). Materials and Methods: A total of 90 enamel slabs from 45 sound human third molars were randomly divided into three groups. Of three groups, per group had thirty samples (n = 30), of which samples of Group 1 were placed in artificial saliva at 37°C in incubator (Memart, Germany) during complete experiment. Sample of Groups 2 and 3 was treated with power whitening gel (White Smile 2011, Germany) and tooth whitening pen (white Smile 2011, Germany), respectively. Later on, after bleaching treatment, discs were thoroughly washed and stored in artificial saliva at 37°C in incubator. Chemical analysis was done with energy dispersive spectroscopy (Edx) detector to detect changes in surface composition. Results: Energy dispersive X-ray spectroscopy (Edx) analysis showed no significant difference between all the three groups for Ca% mass (P > 0.99) and Ca% atomic (P > 0.99), C% mass (P = 0.78) and C% atomic (P = 0.76), and O% mass (P > 0.99) and O% atomic (P = 0.28). Similar results were shown for Na, Mg, P, and F. Conclusion: Statistically insignificant effect was observed on enamel composition with both bleaching agents (38% HP and 16% CP). Aim: The objective of this study was to assess the impact of oral health on quality of life in a representative sample of elderly population in Port Harcourt, Nigeria, and to evaluate its associations with dental caries, periodontal disease, subjective oral measures, and sociodemographic factors. Subjects and Methods: The study was a cross-sectional observational research design. Participants were selected by systematic random sampling, and data were collected using a self-developed questionnaire and oral examination. Data analysis was done using SPSS version 20. Chi-square and logistic regression analysis was used to establish association between variables. Significance was determined at 95% confidence interval and statistical significance inferred at P < 0.05. Results: The prevalence of negative impact of oral health on quality of life was 38.1%. The mean Oral Health Impact Profile-14 score was 11.15 ± 8.36; the highest mean was recorded for physical pain (2.87 ± 1.17). Painful aching, 48.1%, was the highest impact on quality of life experienced by the participants. Female gender, younger elderly, poor self-perception of oral health, dental caries, and periodontitis produced a higher significant negative impact of oral disease on the quality of life. Conclusion: The prevalence of negative impact recorded in this study was comparable to that obtained in other similar studies. The study revealed that sociodemographic variables and subjective and clinical oral measures impact significantly on the oral health-related quality of life of the participants. The study suggests the need for these factors to be considered when planning oral health intervention program for the elderly. Objectives: The present study aimed to investigate oral cancer (OC) awareness, knowledge, and practices among Saudi general dentists. Materials and Methods: We included dentists who were recognized and licensed by the Saudi Commission for Health Specialties. They were e-mailed officially with a 28-item questionnaire and constructed to investigate the study objectives. Results: The final sample included 326 dentists. About 85.6% of the participants reported their awareness; this was confirmed when similar percentage (87.4%) stated that there are etiological factors other than tobacco and alcohol for OC. Only 34.7% of the participants had sufficient knowledge concerning the prevention and detection of OC. Concerning the referral, 53.4% referred their patients to oral medicine specialist. Conclusions: Our findings revealed that chances exist to improve the knowledge, increase awareness, and develop right practices toward OC. Furthermore, our results revealed that dentists believed their knowledge was insufficient to detect OCs, although most of them showed reasonable level of knowledge about some aspects of diagnosing OCs. All these emphasize general dentists' role in the prevention and diagnosis and the need to improve dentists' knowledge and practices toward OC. Background: Nutrition promotes healthy development and maintenance of oral health. Chronic malnutrition affects tooth exfoliation and renders the permanent teeth susceptible to caries.Aim: To assess the nutritional status and dental health in 3–6-year-old children.Materials and Methods: A cross-sectional epidemiological study was conducted on a representative sample of 1459 children, aged 3–6 years, and visiting the Integrated Child Development Centers (anganwadi) of T. Narasipura Taluk, Mysore, India. Nutritional status was evaluated by measuring body mass index (BMI) and mid-upper arm circumference (MUAC). Oral examination was carried out using a noninvasive technique with the child sitting in an upright position under good natural light. Dental caries, enamel hypoplasia, and oral mucosal status were recorded according to the WHO criteria. Results: Nutritional status according to BMI showed 41% of children to be underweight and according to MUAC only 0.82% of children were undernourished. A highest (41.7%) number of underweight children were seen in 3–4 years age group, with a higher number of females being affected. The prevalence of dental caries was 61.07% and was highest in 3–4 years age group. More number of females were affected with dental caries than males. The prevalence of enamel hypoplasia was 8.7%. Association of dental health status with BMI was significant with dental caries. Conclusions: Forty-one percent of children were underweight and the prevalence of underweight children increased with age. The prevalence of dental caries and enamel hypoplasia were 61% and 8.7%, respectively. 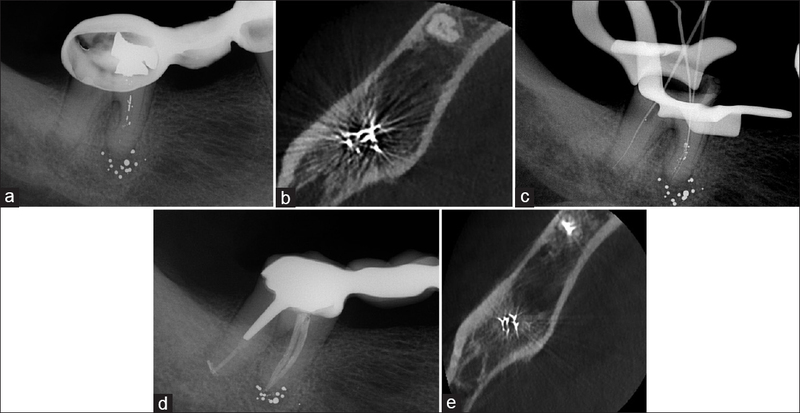 This article describes a successful management of permanent mandibular second molar presented with extruded foreign particles. Root canal foreign bodies in or beyond the root canal system may affect the treatment outcome. Attempts for removal of such materials are challenging and can jeopardize the tooth structure. Therefore, a proper diagnosis and treatment planning for such cases is critical to achieving adequate outcomes. Axenfeld–Rieger syndrome (ARS) is a rare, autosomal dominant disorder with genetic and morphologic variability and characterized by ocular and nonocular clinical findings. Midface hypoplasia and maxillary hypodontia are classical presenting features of this syndrome. 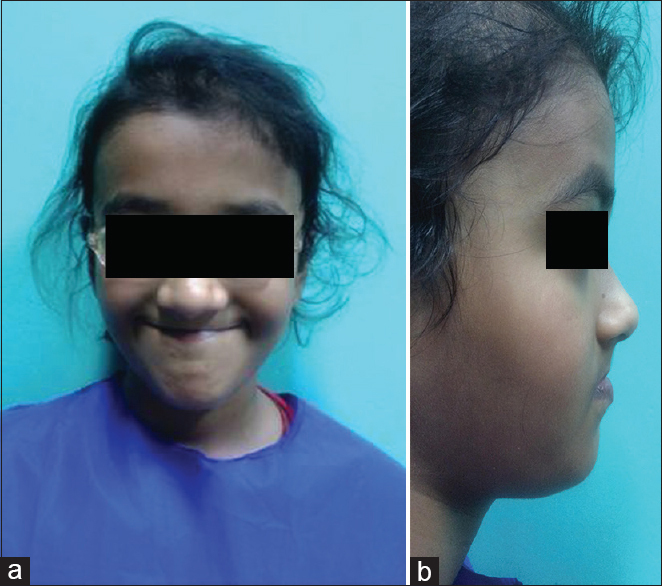 This case report describes a dental condition, immediate treatment required and a long-term treatment approach toward a patient 5-year-of-age with ARS, who presented with significant ocular and dental anomalies.